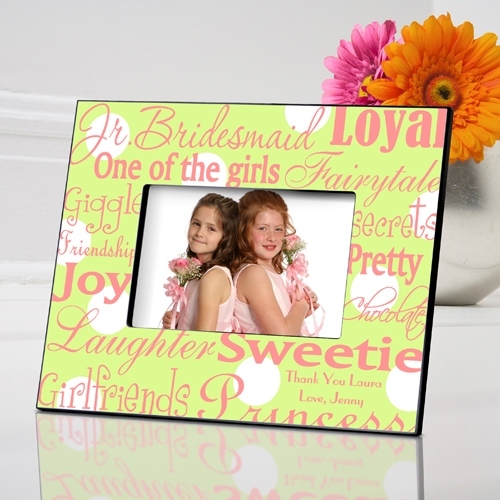 * Let her know what a special part she played in your wedding day with one of these lovely and colorful personalized junior bridesmaid photo frames. 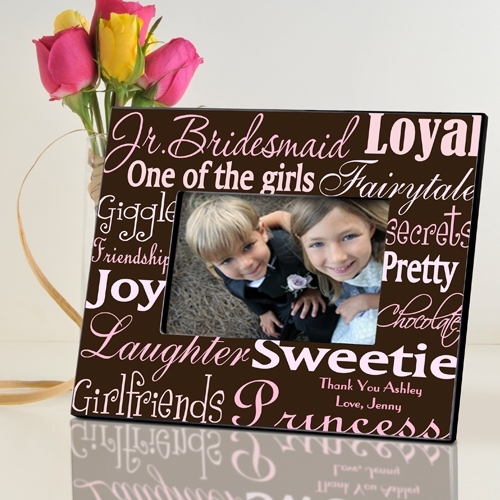 * Designed especially with the younger bridesmaid in mind, she'll love this grown-up frame, which proclaims her to be “one of the girls”, a loyal friend, and special sweetie. 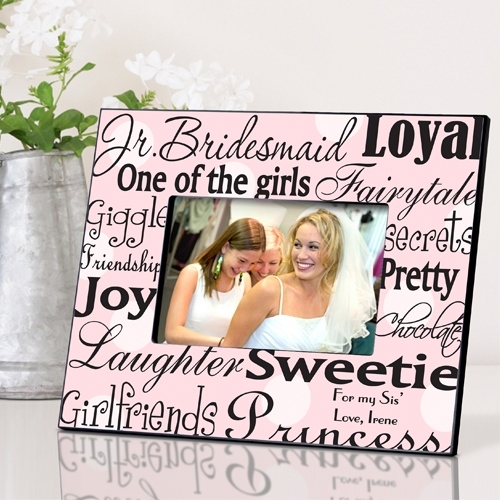 * Perfect after-wedding present or pre-wedding bridesmaid gift. * Available in seven styles. 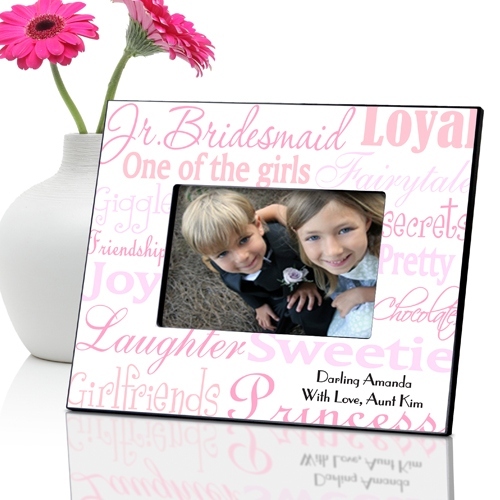 * Frames Hold a 4" x 6" picture. * Personalize two lines in lower right hand corner.